Business Insider/Hayley PetersonAldi is launching curbside pickup for online grocery orders. Aldi is planning to expand grocery delivery services to all US stores, Aldi US CEO Jason Hart told Business Insider. The company will start testing curbside pickup as well, Hart said. 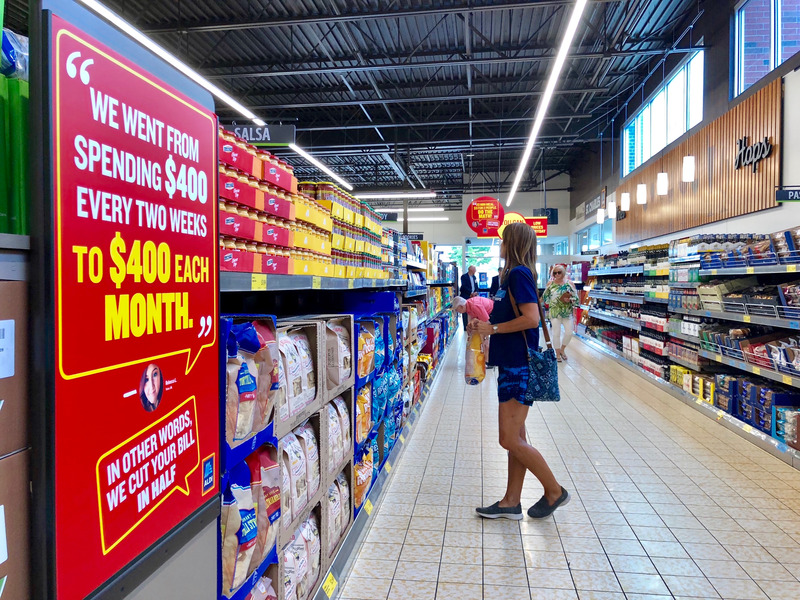 Aldi is slowly ramping up its investment in delivery and pickup amid fierce competition from Walmart,Kroger, and Amazon for consumers’ online grocery purchases. Aldi is expanding its online grocery services and preparing to launch curbside pickup in the United States, Aldi US CEO Jason Hart told Business Insider. Aldi started testing online grocery delivery in select cities last year through a partnership with Instacart. The service has expanded slowly and is still only available in a few markets, including Atlanta and Chicago. In an interview Wednesday, Hart said Aldi is planning to expand the partnership with Instacart and eventually offer the service at all US stores. Aldi is also planning to start testing curbside pickup, which allows shoppers to buy groceries online and then pick them up at stores, where employees will load the bagged items into their cars. He did not say when the test would begin. Aldi is slowly ramping up its investment in grocery delivery and pickup amid fierce competition from Walmart, Kroger, and Amazon for consumers’ online grocery purchases. Walmart plans to offer grocery delivery from more than 800 stores by the end of the year, and it offers curbside pickup at more than 1,500 locations. Kroger is in a close race with Walmart: it’s now delivering groceries from nearly 900 stores and plans to grow its curbside pickup locations by nearly 500 stores this year, from nearly 1,100 locations now. Amazon, meanwhile, is in the process off rolling out grocery delivery from Whole Foods stores across the US, and this week it announced it was launching curbside pickup at select stores in as little as 30 minutes from the time of purchase.